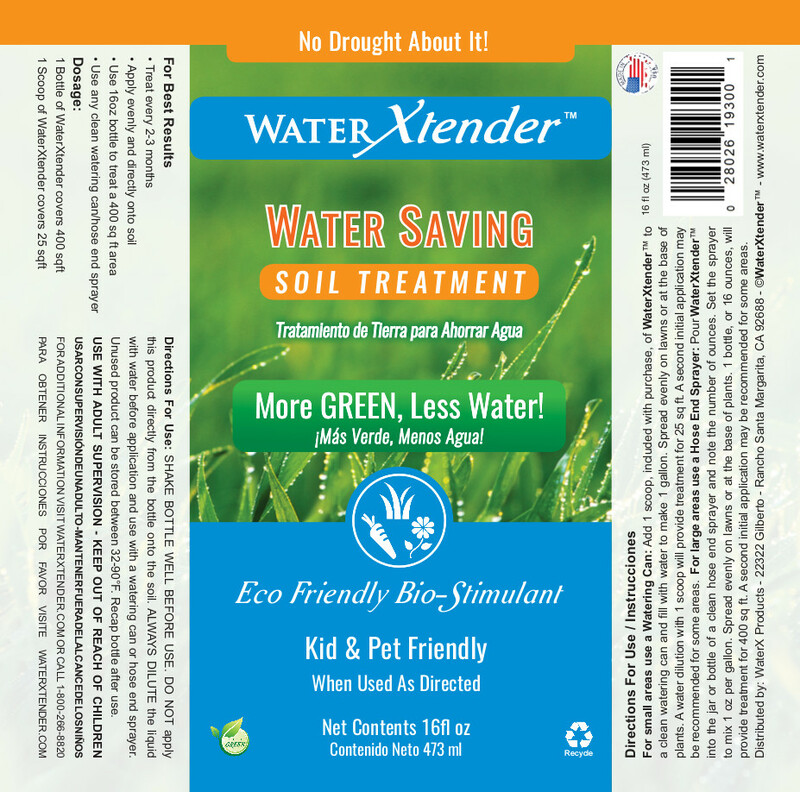 For small areas use a Watering Can: Add 1 scoop, included with purchase, of WaterXtender to a clean watering can and fill with water to make 1 gallon. Spread directly on the soil of the lawns or at the base of plants. One gallon of water with 1 scoop will provide moisturizer for 25 sq ft. A second initial application may be recommended for some areas. For large areas use a Hose End Sprayer: Pour WaterXtender into the jar or bottle of a clean hose end sprayer and note the number of ounces. 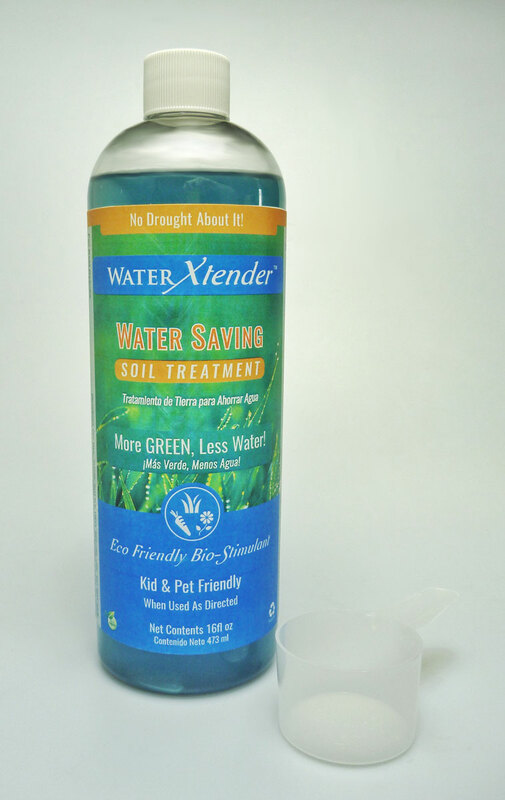 Set the sprayer to mix 1 oz per 1 gallon of water. 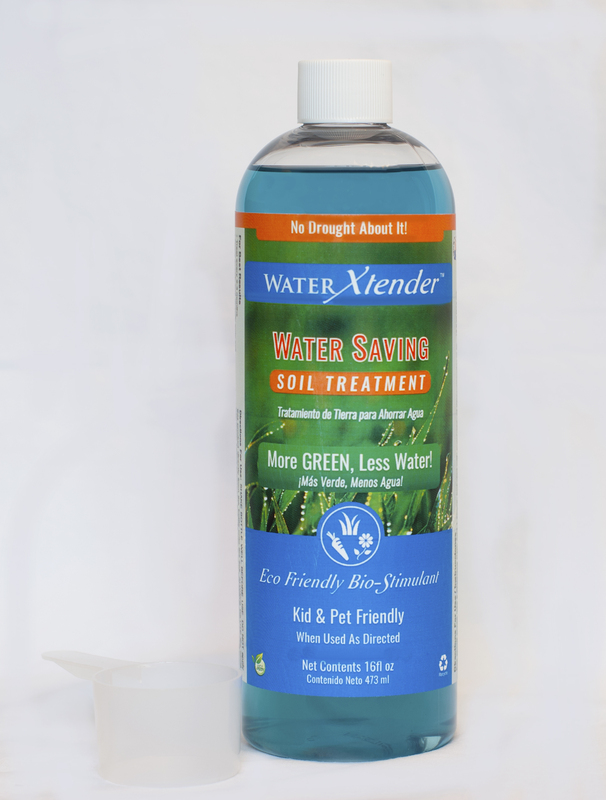 Spread evenly on lawns or at the base of plants. 1 bottle, or 16 ounces, will provide moisturizer for 400 sq ft. A second initial application may be recommended for some areas.